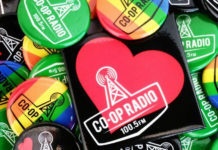 Corus Radio launched 92.5 The ‘Chuck Edmonton last Friday, a quirky, hyper-local rebrand of its Bright AC format 92.5 Fresh Radio (CKNG-FM). 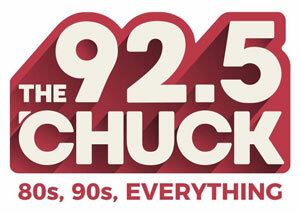 The ‘Chuck is a nod to the city’s nickname “Edmon’chuck,” with the station marketing using the tagline “If You Live Here, You Get It.” Greg Johnson, FM program director for Corus Radio Edmonton, describes it as a “pop-rock variety machine” playing 80s, 90s, 2000s and current music. 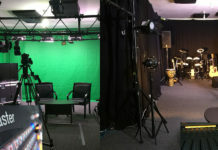 The station will also feature less chatter, with fewer than the traditional amount of announcer breaks which will be “super-produced.” The station’s talent roster remains intact, but on-air staff are all now tasked as “content creators,” producing and writing content across the station’s social and digital platforms. Read the full story here. 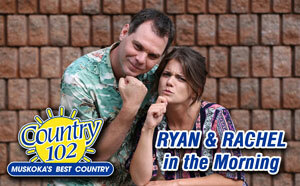 Bayshore Broadcasting has launched Country 102 (CJMU-FM) Muskoka, serving the communities of Bracebridge, Gravenhurst and Huntsville. 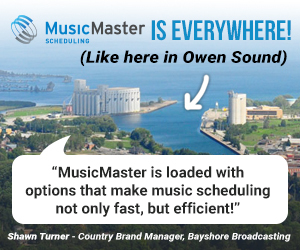 Bayshore’s ninth radio station and fourth country station, the station’s talent lineup includes Ryan Griffiths & Rachel Detta in the morning, Teghan Robinson on middays, and Rick Ringer covering off afternoon drive. 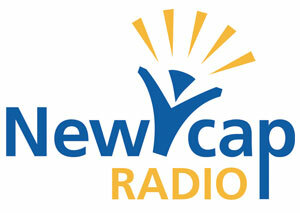 Newcap Radio parent Newfoundland Capital Corporation Limited has released its Q2 2018 financial results showing revenue of $43.5 million, down one per cent year-over-year for the quarter. Year-to-date revenue of $79.2 million was $0.2 million or less than one per cent lower than 2017. The company says its expansion into Kamloops, BC provided revenue growth while Newfoundland and Labrador continue to face challenging economic conditions. 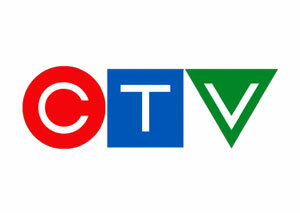 Soft audience ratings from last fall and winter temporarily impacted the Ontario operations. In the most recent ratings, released in June 2018, the company had regained its first place ranking in the key Toronto market. Profit for the period of $7.7 million was $0.6 million or seven per cent lower than the same quarter last year and year-to-date profit of $11 million was $0.3 million or two per cent lower than last year primarily because of higher integration costs in the current year. In addition, the second quarter last year included a gain on the disposal of CISL-AM of $0.9 million. 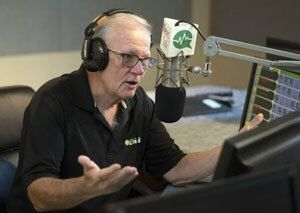 Alex Docking is celebrating 50 years in broadcasting. Docking was just 18 when he started as the evening DJ/announcer at CFRY-AM Portage la Prairie, MB. He went on to work at CJOB-AM Winnipeg before getting his feet wet in television at CKX Brandon and then CKCK-TV (now CTV) Regina where he made his foray into news as a late night weather announcer and producer, eventually moving up the ranks to reporter, anchor and assignment editor. 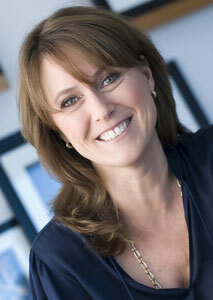 From 1985 to the 1987, Docking was CTV’s national correspondent for the Prairies, based out of Winnipeg. He returned to CTV Regina in 1987 and was named news director in 1991. 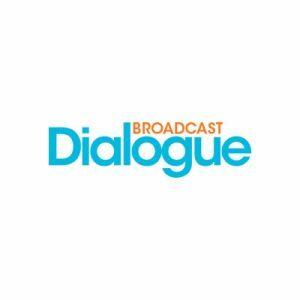 In 1999, Docking joined CJME-AM Regina, hosting a provincial afternoon show that was also heard on sister station CKOM-AM Saskatoon. While he retired from full-time work in 2016, he continues to fill in at CJME. 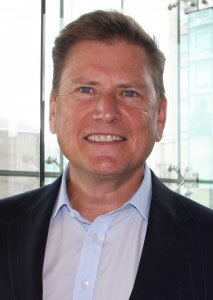 He was honoured with a lifetime achievement award from the RTDNA in 2012. 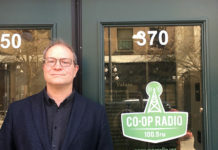 Brad McNally’s show The McNally Masquerade is now part of the weekly schedule at David Marsden and Igor Loukine’s Toronto-based alt online station NYTheSpirit.com. 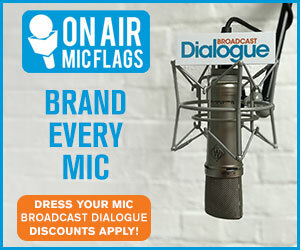 McNally was a key DJ with the original CFNY-FM, The Spirit of Radio and has since adopted Australia as his home. 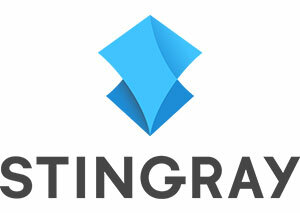 Stingray Digital Group has made an unsolicited, hostile-takeover bid for U.S.-based multi-platform video and music network Music Choice. 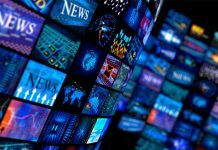 The offer is currently under review by the network’s unitholders including Charter Communications, Comcast, Cox Communications, Sony Corporation of America, Warner Media, Arris and Microsoft, and remains open for acceptance until Aug. 31. The move comes on the heels of Stingray’s commercial services division, Stingray Business, announcing the acquisition of Novramedia, a Toronto-based software/hardware developer focused on digital media solutions for industries from finance to hospitality and healthcare. Meantime, Stingray’s acquisition of Newcap Radio parent Newfoundland Capital Corporation Limited (NCCL) for $524,297,181 remains pending. The CRTC commenting period is set to close Sept. 4. Mr. D has wrapped production on its eighth and final season in Halifax. Created, written and starring comedian Gerry Dee, the show launched in 2012 following an unsatisfied social studies teacher yearning to teach Phys Ed. The series earned Dee a Canadian Screen Award in 2013 for Best Performance by an Actor in a Continuing leading Comedic Role. Dee already has a new show in development with the public broadcaster. 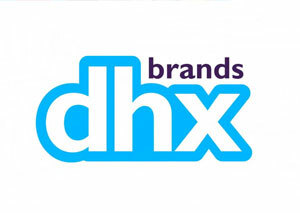 DHX Brands, the brand management and consumer products arm of DHX Media, has signed nine new consumer products licensees for its Teletubbies brand in South Korea. The news follows the recent launch of the new Teletubbies series in South Korea on the country’s leading public broadcaster KBS and on streaming services Naver TV and Naver Junior. DHX Media’s distribution arm has signed 19 new broadcast and streaming agreements internationally for the new series, bringing the total number of platforms to 54, spanning more than 100 territories worldwide. Thunderbird Entertainment, the Vancouver-based multi-platform entertainment company behind Kim’s Convenience, is set to go public following closure of a deal that will see publicly-traded Golden Secret Ventures acquire 100 per cent of the shares of Thunderbird via a reverse takeover. Subject to all necessary regulatory and shareholder approvals, the transaction is expected to close by Oct. 1. On a consolidated basis, for the nine months ended Mar. 31, Thunderbird generated (unaudited) revenues of $131 million, net income of $3.7 million and adjusted EBITDA of $8.3 million. The current production slate for the Thunderbird group of companies includes roughly 20 projects with aggregate budgets in excess of $150,000,000 including factual series High Arctic Haulers for the CBC and Netflix original animated series The Last Kids on Earth. CTV has acquired The Conners, the spin-off of this year’s hit revival Roseanne which was swiftly cancelled by ABC in May following a racist Tweet from its star Roseanne Barr. The Conners will anchor CTV’s new Tuesday night lineup, starting Oct. 16, with a press release saying Dan (John Goodman), Jackie (Laurie Metcalf), Darlene (Sara Gilbert), Becky (Lecy Gorason), and D.J. (Michael Fishman) “are forced to face the daily struggles of life in Lanford in a way they never have before” after a sudden turn of events. Roseanne made its Canadian debut on CTV on Mar. 27, drawing 2.2 million viewers and nearly 27 per cent of total audience share, the second-highest broadcast debut of the year behind Young Sheldon. Read more here. 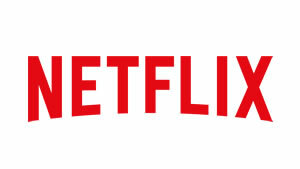 Netflix is one of the partners in The Pacific Screenwriting Program, a new initiative that will combine industry mentorship, workshops and bootcamps to help writers establish a career in B.C.’s screen industry. Supported by the Canadian Media Producers Association (CMPA), Creative BC, Writers Guild of Canada (WGC), Lark Productions, BRON Studios, Omnifilm Entertainment and Skybound Entertainment, its first offering is the Scripted Series Lab, a full-time, 14-week curriculum for six committed writers that will prepare them for entry-level series writing. The program is set to launch in Jan. 2019, in conjunction with the opening of a bricks and mortar location in downtown Vancouver. Read the full story here. Bell Media’s The Harold Greenberg Fund has announced the first selections for its newly-created BC Shorts Program. 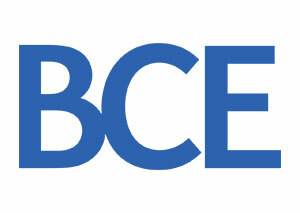 Developed in partnership with Creative BC, it’s designed to finance short films from B.C. filmmaking teams, showcasing new creative visions and furthering the careers of writers, producers, and directors as they move towards feature filmmaking. TIFF is organizing a rally Sept. 8 in downtown Toronto as part of its Share Her Journey campaign to help women take meaningful steps towards equality in the film industry. The rally will be streamed online for supporters outside Toronto. More info here. CTV has announced another season of culinary competition series Masterchef Canada for the 2018/2019 broadcast season. Season 6 casting is now open with production set to begin this fall in Toronto on 12 new episodes from Proper Television. Bell Media says Season 5 averaged 1.2 million total viewers weekly. CBC has picked up KGP Films’ eight-part digital series NarcoLeap. 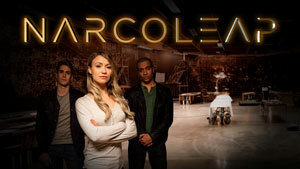 The sci-fi series is now available to stream via the CBC TV app and cbc.ca/watch. Vancouver’s Chelsey Reist (The 100) plays the lead role of Kelsey Atkins, a young woman suffering from narcolepsy, who finds herself thrust into a world of espionage when she discovers that during her lucid dreams she is actually commandeering the bodies of real people across the globe. NarcoLeap was funded by the Independent Production Fund, Telus STORYHIVE, and Creative BC, and developed through the Women In The Director’s Chair (WIDC) program. Women on Screen is accepting submissions for its Web Series Incubator, a six-week development program for short web series featuring female-driven content. Eight scripts and writers/writing teams will be selected to participate, Sept. 25 – Oct. 30 in Toronto. More details here. The Movember Foundation has premiered a documentary series on Instagram’s new IGTV platform, sharing the real life challenges of men living with prostate and testicular cancer. 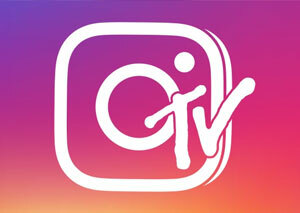 The group is the first charity to launch an exclusive docu-series using IGTV, which allows users the opportunity to watch long-form video, up to an hour long, from within the Instagram app. A new video in the series debuted daily on their channel for five days, starting Aug. 3.
musical.ly and TikTok are uniting to create a new short form video platform. The upgraded global app keeps the TikTok name, incorporating the most popular elements of both apps with a feed that highlights the users’ community, in addition to a “For You” feed offering curated personalized video recommendations. 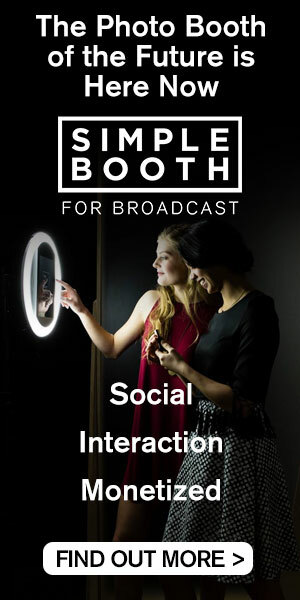 It also plans to introduce a “reaction” feature that allows users to react to friends’ videos, VR-type filters that can be activated just by blinking, and green screen-like background effects. Snapchat’s daily users fell two per cent to 188 million from 191 million in the last quarter, the first time Snap has logged a quarterly drop. Still, the company reported second quarter revenues of $262.3 million, up 44 per cent over the same period last year. CEO Evan Spiegel blames falling user numbers on lower frequency of use due to the disruption caused by the app’s redesign. Apple, Facebook, YouTube, Spotify, Pinterest, LinkedIn and MailChimp have banned content from U.S. conspiracy theorist and right wing talk show host Alex Jones saying it violates community standards. Downloads of Jones’ Infowars app surged following the news, with the app currently the number three news app in Canada, the U.S. and Australia, according to data ranking site App Annie. As Canada’s Rebel Media nears the 1 million subscriber mark on YouTube, founder Ezra Levant proclaimed on Twitter Wednesday that as the largest news channel in Canada, he expects Justin Trudeau to “try to shut us down Infowars-style.” Rebel Media contributor John Cardillo called the move by the social platform giants “chilling” saying while he’s not a fan of Jones, he will “fight till the end for Alex Jones’ right to disseminate his content.” Facebook says Infowars glorified violence, violating its graphic violence policy, and used dehumanizing language or “hate speech” to describe people who are transgender, Muslims and immigrants. BCE, Telus, and Rogers Communications are named in a lawsuit for alleged patent infringement involving tech used to locate mobile phones for 9-1-1 service. Colorado company TracBeam LLC filed the statement of claim in Federal Court in late July. It maintains that without its patented technology, the big three would not have been able to comply with CRTC requirements. The company has previously sued and reached settlements with Sprint, Verizon, and AT&T, alleging similar infringement. BCE’s Q2 2018 quarterly profit was down year-over-year despite strong wireless subscriber additions. Bell added 122,092 net postpaid wireless subscribers (up 37.8 per cent), its best second-quarter result since 2000. Net income attributable to shareholders was $704 million or 79 cents per share, down from $765 million or 85 cents per share in the second quarter of 2017. Bell Media reported revenues of $791 million, a 0.6 per cent decline over last year as ad revenue for conventional and non-sports specialty TV decreased due to ongoing market softness and viewership declines for traditional linear TV. This was moderated by advertising revenue from the 2018 FIFA World Cup, increases at specialty TV news service CP24 and continued growth in Astral outdoor advertising. Subscriber revenue increased 1.9 per cent in Q2, reflecting continued growth of the CraveTV and TV Everywhere GO platforms, and revenue from newly-launched direct-to-consumer sports streaming services TSN Direct and RDS Direct. Telus reported strong results for the second quarter 2018 with consolidated revenue of $3.5 billion, up 5.3 per cent over the same period a year ago, primarily due to continued growth in wireless network and wireline data services revenue. EBITDA increased by 3.6 per cent to $1.3 billion. Darren Entwistle, president and CEO, says the quarter was characterized by the best combined retention levels on record in respect to postpaid wireless, high-speed internet and Telus TV. In the quarter, the company added 135,000 new wireless, high-speed internet and TV customers, up 30,000 or 29 per cent year over year. Telus’ total wireless subscriber base of 9.0 million is up 3.5 per cent from a year ago, reflecting a 4.6 per cent increase in its postpaid subscriber base to 8.1 million. 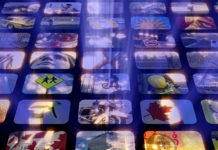 High-speed Internet connections of 1.8 million are up 5.3 per cent over the last 12 months, while the Telus TV subscriber base stands at 1.1 million. TVA Group reported a $9.7 million ($0.22 per share) net loss attributable to shareholders in Q2 2018. That compares with a net loss of $1.9 million or $0.04 per share in the same quarter of 2017. 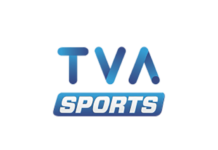 EBITDA in the Broadcasting & Production segment was down $8,345,000, due primarily to a 60 per cent increase in the TVA Sports channel’s negative adjusted EBITDA and a 19 per cent decrease in TVA Network’s adjusted EBITDA. France Lauzière, TVA Group president, called the results “disappointing” saying that despite strong ratings for the NHL playoffs on TVA Sports, the fact that the Montreal Canadiens failed to make the first round negatively impacted ad revenues. Ad revenue on the network was down nine per cent for the quarter. Kuhkenah Network (K-Net) and Western James Bay Telecom Network will receive a combined $7.03 million from the federal government’s Connect to Innovate program to help six Indigenous communities and up to 58 institutions in northern Ontario get online or improve their high-speed Internet access. K-Net, a First Nations-owned and operated Internet service provider in Sioux Lookout, will receive the bulk of the funding. Xplornet is bringing its 5G-ready technology to rural New Brunswick. The hybrid fibre wireless network will use 3500 MHz spectrum, the same spectrum being used for Xplornet’s 5G trials currently underway. The Province of New Brunswick will contribute $10 million toward the $30 million dollar project. The first phase will begin immediately and is expected to be complete by the end of 2019. Centennial College multimedia sports journalism students will cover international track and field meet NACAC 2018 at Toronto’s Varsity Stadium from Aug. 10-12. Bringing together world-class athletes from 28 counties across North America, the Caribbean and Central America, Centennial’s School of Media, Communications, Arts and Design is dispatching 23 students to cover the event for TorontoObserver.ca. 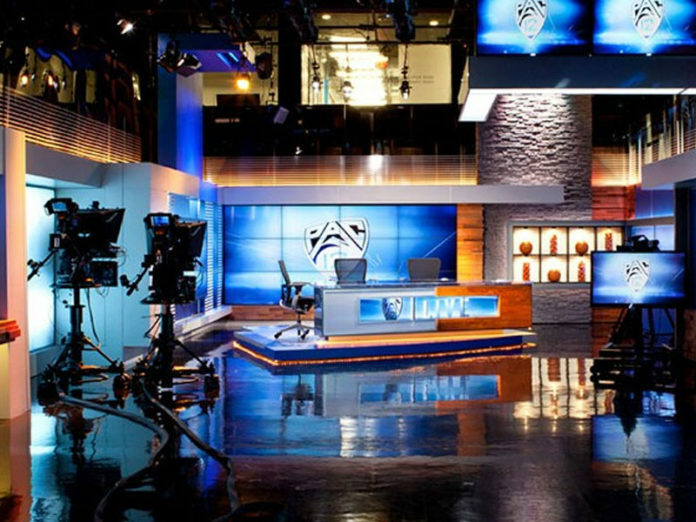 Students will fulfill roles from producers and reporters, to on-air talent, technical editing and support. Olympic medalist and 40-year journalist Debbi Wilkes heads up the NACAC coverage as the program’s summer coordinator, while Bob Torrens, former Sportsnet and Fight Network producer, handles the broadcast instructing.